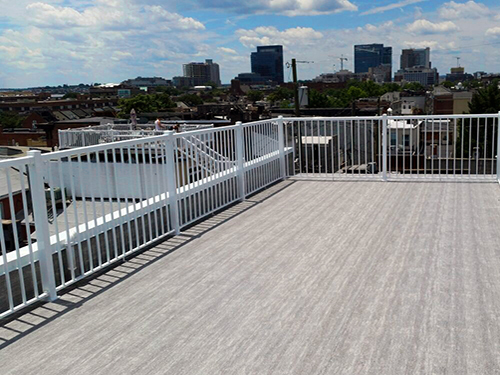 Our easy-to-order and easy-to-install Durarail Kit System is made up of 42" tall rail with 5/8" welded pickets, Excell square top rail, and 2-1/2" posts. Standard black and white parts are stock items or textured black is available through special order. 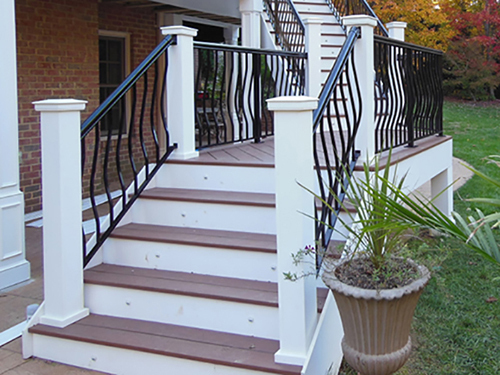 Stairs and gates are customized per job. 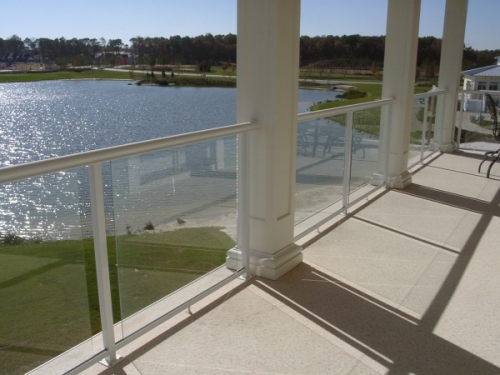 1/4" tempered glass panels set in a powder-coated aluminum framework with approximately 3" air space on each side of the panels. 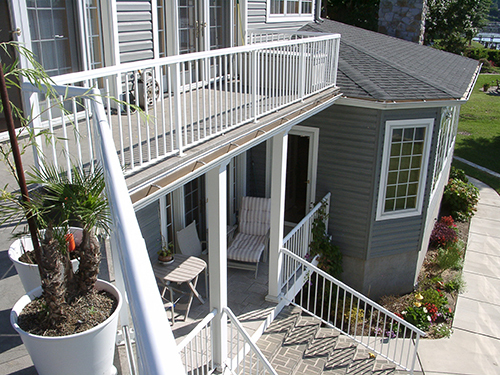 Shown in white with surface mounted 1.72" posts which allows for a continuous top rail. Available through special order. Sleek simple modern design with 5/8" pickets. 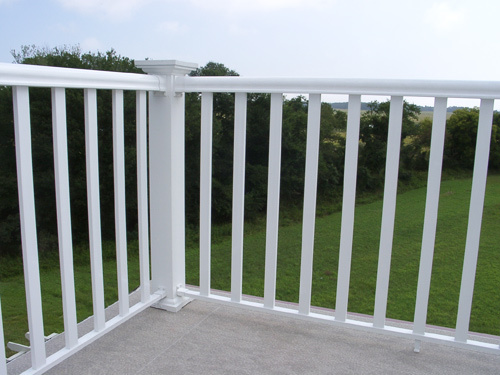 Shown in white with 1.72" posts which allows for a continuous top rail. 5/8" pickets with midrail for a classic look. Shown in black with a Excell square top rail. 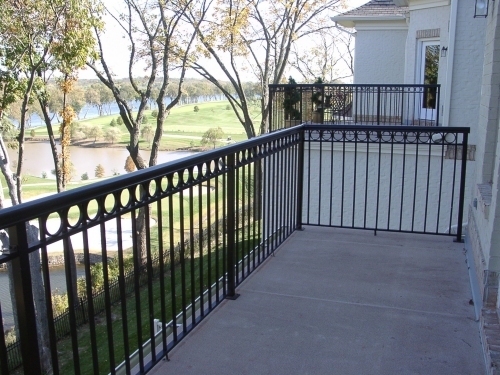 5/8" alternating height pickets with midrail, an appealing alternative to our standard midrail. 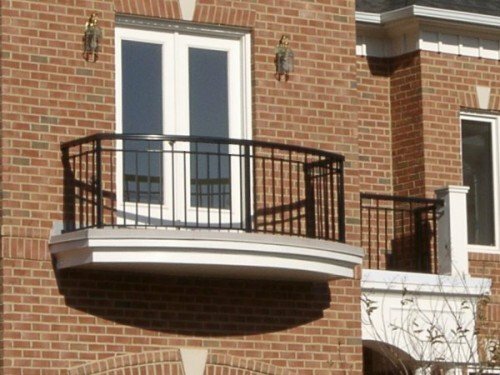 Our style #4 with rings set between the top and midrail for the sophisticated style of wrought iron but without the rust. Style #5 features rings every other picket between the top and midrail. 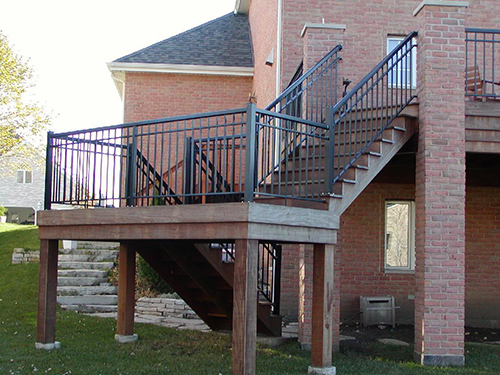 Shown here in black with 1.72" posts and a continuous top rail. 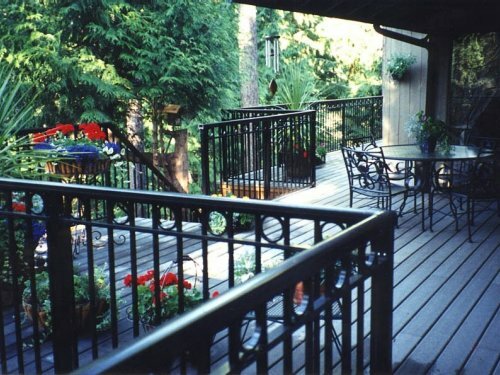 Our wider 1-1/2" x 5/8" pickets offer a more traditional look. Shown here in white with a Durarail Round Top Rail with posts by others. 5/8" pickets with a contoured shape design for a more elegant style. Shown with posts by others.